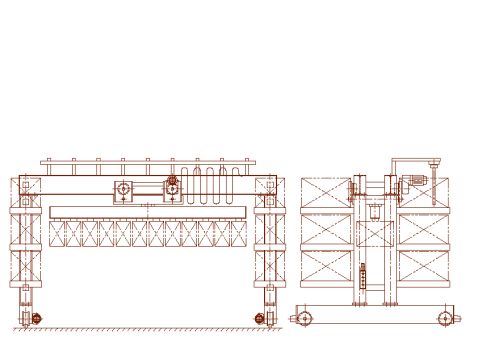 Especially used in Shipyard Welding Gantry is designed and built for welding of stiffeners on fabricated structures. 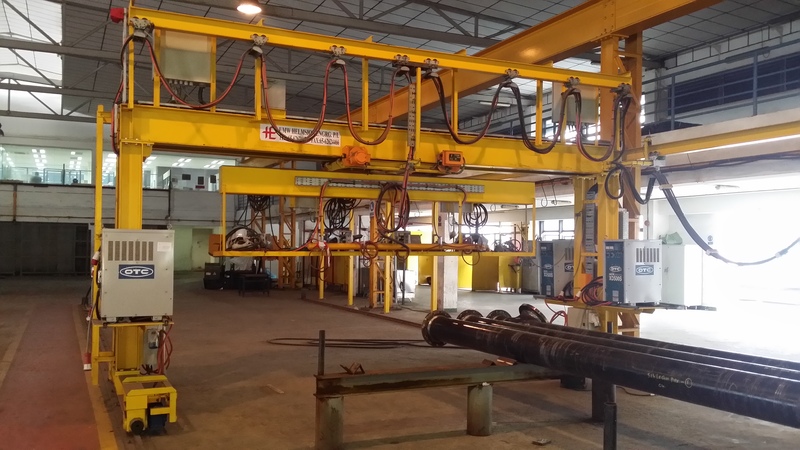 It is equipped with welding sets and can travel along the whole length of the production floor for ease of mobilizing welding procedure and safe time in production on fabrication of steel structures. The feeders and welding guns are set on a rotating platform whereby they are able to cover every part of the production floor.